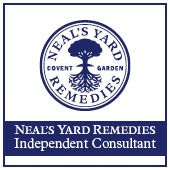 Using Award Winning, Neal’s Yard Remedies Organic Natural Skincare, this holistic facial incorporates the whole body, mind & soul. Starting with a lifestyle analysis to look at the whole self and talking through your specific skin concerns. We then create your unique facial treatment to match your needs. Starting the facial with a mindful breathing technique to get you centred and grounded, leading on to your feet where I use gentle pressure and stretches on specific foot reflexes, including pressures over your legs and arms and shoulder stretches to ease any tension and bring balance to your body and mind. Moving on to the face where we tone, cleanse, exfoliate and apply mask, while the mask sets, the arms, hands and shoulders are massaged with an organic essential oil balm. The mask is then removed using hot towels, eye cream and serum applied. We then perform a upper chest, shoulder & neck massage, followed by a facial massage using organic oils finished off with a tension releasing head massage. •	Reducing muscular tension improving the flow of blood and lymph to the area. •	Possible bonuses are reduction in headaches, sinusitis, TMJ problems, bruxism, lowering of blood pressure etc. •	Increasing lymphatic drainage to the face reducing puffiness and greyness to the skin. 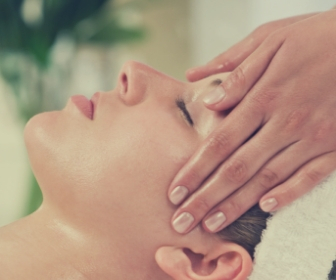 Regular treatments will really help to tone and revitalise the skin as well as provide relief from conditions such as headaches, insomnia, anxiety, etc. The nature of the massage movement gently encourages the skin’s fibres to slide easily over each other as over time, the web like fibres lose their mobility and lock together.